This post is sponsored by Sweet Defeat. Thank you for supporting the brands who support this blog! The holiday season is here - can you believe it?! This year has totally flown by and I can’t believe that my family will be together for Thanksgiving just next week! Thanksgiving is the main holiday for our family - even with all the traveling and moving around, I have never missed a Thanksgiving dinner at my parents house! It has always been the most important holiday to my mom, as she believes it’s important to celebrate this holiday by bringing everyone together. She invites all of our family and friends over to have an absolute feast. Seriously. I’m always responsible for making 10 pounds of mashed potatoes. There’s just so much food! This year, I have been focusing on living a healthy lifestyle more then ever. So with the holidays coming up, I wanted to share how I am keeping my healthy lifestyle, while still enjoying being around my family and friends. It’s all about balance! 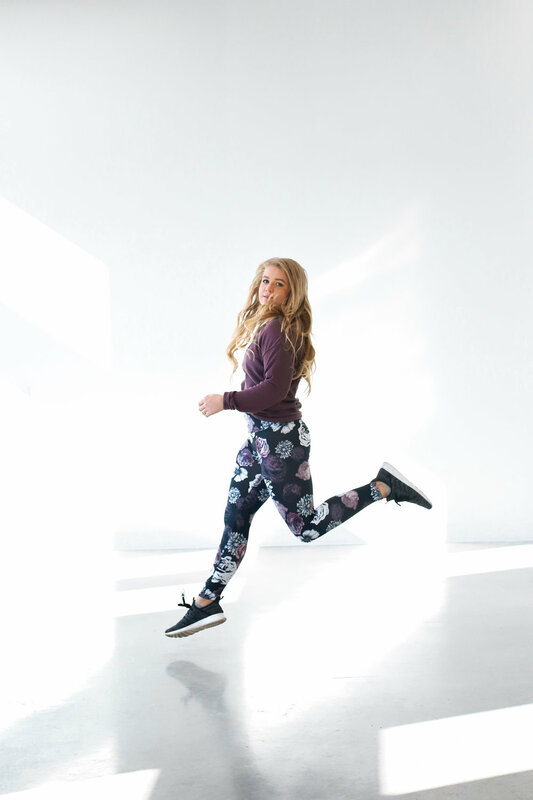 Keep reading for 5 tips for staying fit over this upcoming holiday season! Start your day off with a healthy, protein-packed breakfast to prepare for the carbs you will be eating later in the day. I normally like to eat vegetable scrambled eggs in the morning and then a chicken salad for lunch before heading off to holiday parties. ENJOY A CHEAT MEAL - NOT A CHEAT SEASON! Enjoy Thanksgiving and Christmas by eating a cheat meal on the day, and avoid the cookies for the weeks leading up beforehand. With the holiday season comes all the most wonderful things, like peppermint mochas, eggnog, and ALL the liquor. Although it’s okay to indulge in those things every once in a while (glass of wine for sanity?😉) , be sure to hydrate when you aren’t at holiday parties. Bringing along a bottle of fruit-infused water while at parties and holiday shopping makes staying hydrated easier! Although it’s hard to find ways to keep active over the holiday season, there are a couple of easy things you can do to get extra steps in daily! Try parking further away when shopping, taking the stairs, and signing up for a local 5K turkey trot. Something I love to take Aimery to every year is a local Christmas light trail with lots of walking. My family also plays football or frisbee before we eat turkey! Sweet Defeat stops sugar cravings fast! It is a plant-based product that uses gymnema sylvestre leaf, zinc, and mint to help you achieve your health goals, especially over Thanksgiving! Sweet Defeat is clinically proven to block the taste of sugar for up to an hour to stop cravings for sugary foods before they begin. It is something great to have on hand for the holidays - especially Thanksgiving!